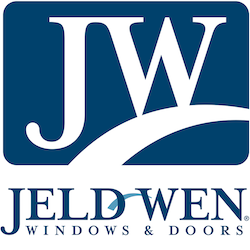 JELD-WEN is a manufacturer offering that rare combination of Old World artistry and cutting-edge innovation. It was among the first to produce entry doors made from fiberglass with the realistic look of wood, resulting in unmatched performance, longevity and ease of maintenance. JELD-WEN offers a wide variety of entry door systems to choose from, and a Hall’s door replacement consultant will be happy to show them to you. We think you’ll agree: JELD-WEN and Hall’s are a perfect match. Aurora composite – Masterfully handcrafted to look and feel like solid wood, Aurora composite doors replicate the finest details – right down to realistic knots and woodgrain – yet deliver the value, longevity and maintenance benefits of composite. 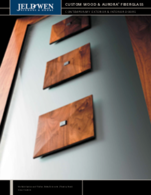 Custom wood – Express your unique style and vision by choosing a custom wood door that combines precision artistry with the finest woods, endless finish colors, one-of-a-kind glass designs and truly personalized accents.